Leather is a durable and flexible material that produces a clean, finished product that will last. Learn to work with real leather using snaps, rivets, fasteners and hardware. Heleen will show you how to work the material to create your own no-sew projects. 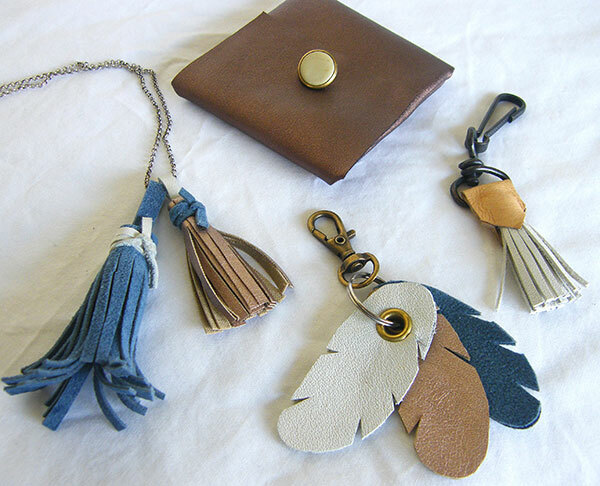 Create a coin pouch, key ring, necklace charm or bracelet to take home with you. No previous experience necessary.